Florida’s west coast is definitely one of the best tourist locations in the United States:The sandy beaches are really beautiful and the nice warm waters of the Gulf of Mexico are enjoyed by tourists as well as many other wonderful destinations. Picturesque Cape Coral is one of the most beautiful spots of the region. It is located close to Fort Myers which is crisscrossed by many waterways and offers beautiful beaches: Sanibel Island and the long beach of Fort Myers. „The Beach Walk“ and „Villa Tao“ are just right for you, if you are searching for an exclusive and luxurious vacation home in Cape Coral. Both of the homes are located right on a canal and offer a private dock. A boat belonging to the house can also be rented on request. All general stores are within walking distance from both homes. The Villa Tao is adjacent to the marina, where many local residents meet in the evening for a sundowner or eat in the popular restaurant Rumrunners, whereas The Beach Walk is just a short distance from the fishing pier and the beach of Cape Coral. You are free to use the bikes and canoes for trips to Cape Coral. The beautiful beaches of Sanibel and Fort Myers Beach are just a short drive and also Fort Myers itself with all it has to offer, shopping malls and the international airport is within easy reach. 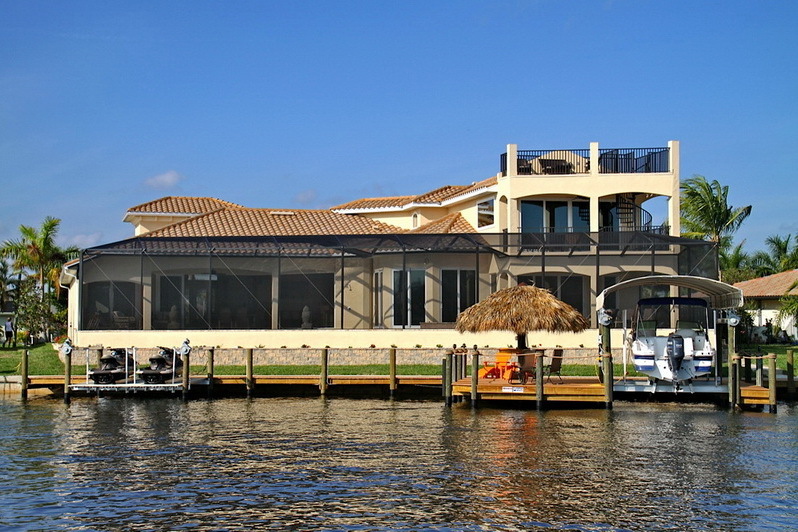 It is not possible to find a better location in Cape Coral for a vacation home.